Snjezana and the Living Dress – "THE MANDALA"
This month, multidisciplinary performance artist and model Snjezana Kovacic appeared in the March edition of Tatler Magazine UK as she performed, interacting with the “Kamadhenu” (Wish Tree Dress III) sculpture dress. 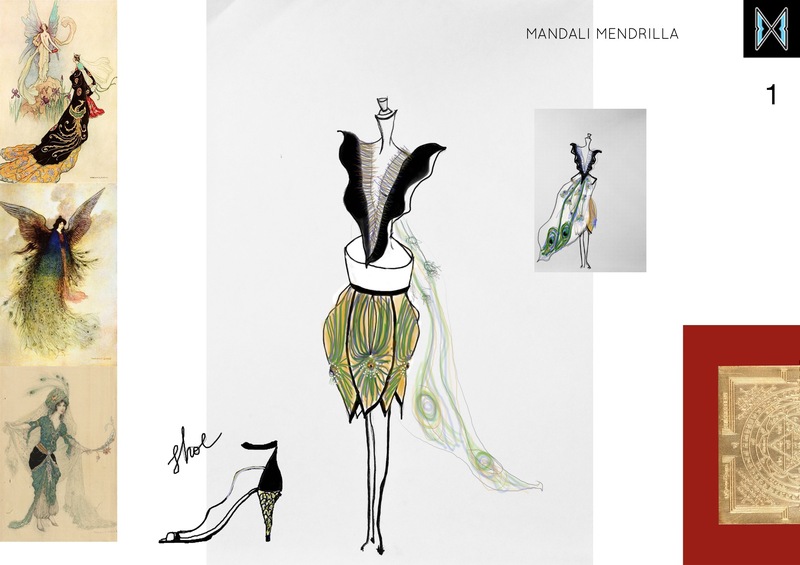 The dress is designed following the signature Mendrilla Atelier Yantra Couture method. The design was meticulously handmade and hand painted in peace silk, embellished with peacock feathers personally gathered off the ground by the designer, and decorated with hand executed peacock feather embroidery by artist Eugenie Roze. Snjezana was captured by Branimir Kralj of studio Dijapozitiv, Zagreb. The photo session was one of Snjezana’s artistic appearances in the dress, which happened over the course of a three year artistic interaction with “Kamadhenu”. About two years ago, Snjezana conferred that she felt the “Kamadhenu” dress was ‘alive’. 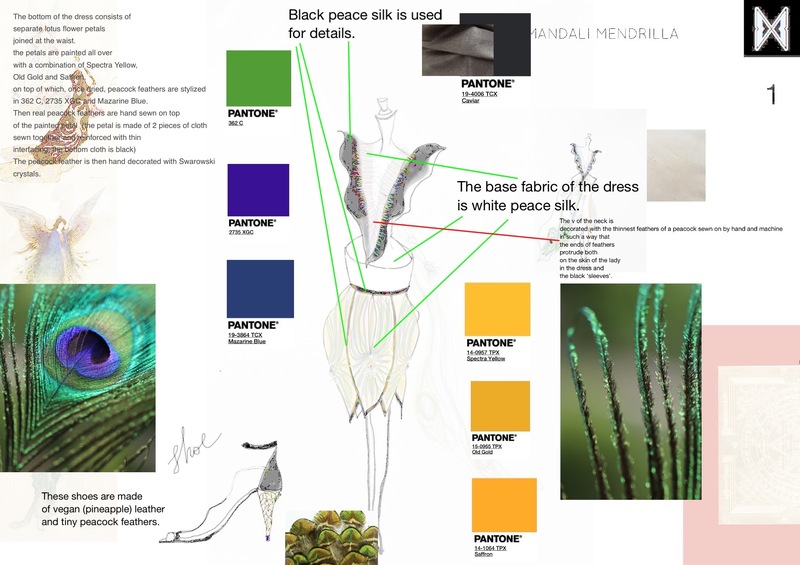 I was very happy to hear that, since it was one of the many confirmations that the Yantra Couture design method I developed, based on subtle sciences I studied over the last 20 years, was indeed effective. The Yantra Couture method is designed to reveal the highest energetic potential of the molecules composing the item. 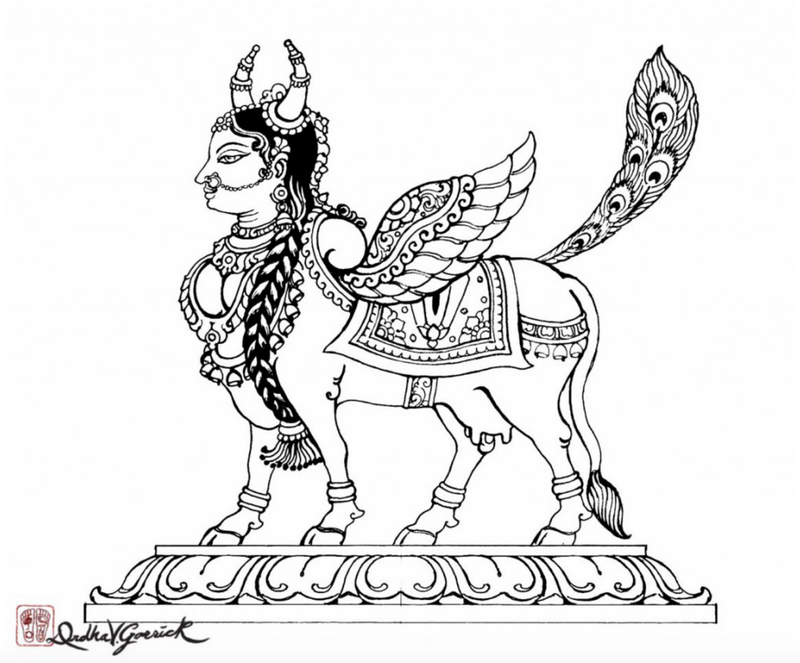 The pattern of the “Kamadhenu” dress was based on a yantra symbol which invokes the ancient goddess Kamadhenu, also known as Surabhi, the celestial cow of plenty. While yantras may be used for a variety of intentions, as per the Yantra Couture method, I gravitate to using graphics which are meant to elevate composing molecules to their state of ‘goodness’, or sattva, and are ritualistically elevated to their transcendent state, where their quality of being ‘alive’ is most evident to perception. I wrote to Snjezana, after her appearance in Tatler magazine. Thank you for this fantastic work.